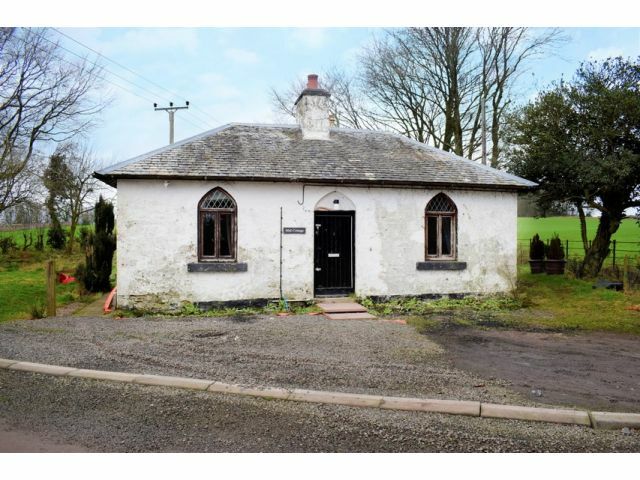 cottage require a degree of renovation and would make an excellent home for somebody who would enjoy country living. *PLEASE NOTE - Warmanbie Cottage is a Grade B Listed Building. Lounge, Dining Kitchen, Two Bedrooms and Bathroom. Outside there is a designated parking space as well as off road parking to the front of the cottage and a large garden to the side and rear with lawn and patio areas. Window to side with curtain pole. Ceiling light, storage cupboard. Radiator, original floorboards. Window to side. Loft access. Ceiling light, toilet, wash hand basin and bath. Radiator, vinyl flooring. Window to front with curtain pole. Ceiling light, storage cupboard, telephone point. Radiator, original floorboards. Access via a shared drive into Warmanbie Estate from the B722. Designated parking space opposite the cottage and off road parking directly in front of cottage. Large gardens to side and front with patio and extensive lawn sections. Mains water, electricity, LPG and private drainage. Offers of £80,000 are invited and should be submitted to lj Residential, 93 High Street, Annan, DG12 6DJ or by fax to: 01461 205037.